If you are looking for a set of polishing pads designed to be used on dark quartz, this is the right place. 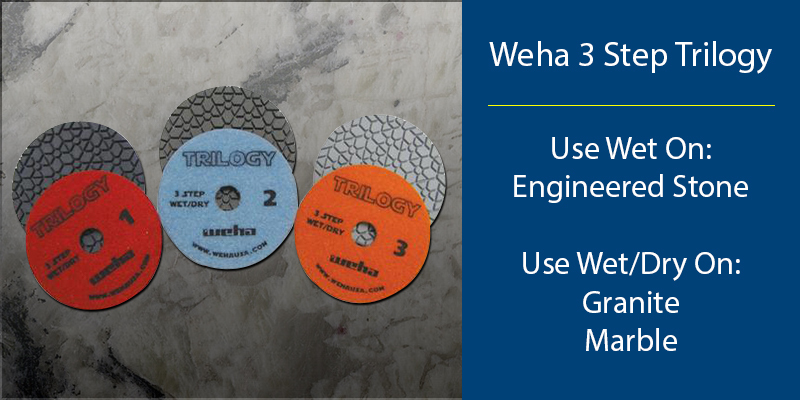 The Trilogy pads by Weha are specifically constructed to work on a variety of dark colored quartz stones. These benefits contribute a faster cutting polishing pad that can be used for a number of specific polishing tasks. Furthermore, the Trilogy 3 Step Polishing Series can be used on a wide array of natural and engineered stone materials.